The crystal-clear water gently laps at your feet. The constant waves are like a soothing caress, and while you gaze out over the sea, Mother Nature showcases all the nuances of blue: very light, almost white, over the beach pebbles at your feet to azure in the open sea and deep lapis lazuli on the horizon. The scattered white clouds in the sky inspire the imagination. It’s an impressive spectacle that you can hardly tear yourself away from… The beauty of the Adriatic Sea can hardly be described. 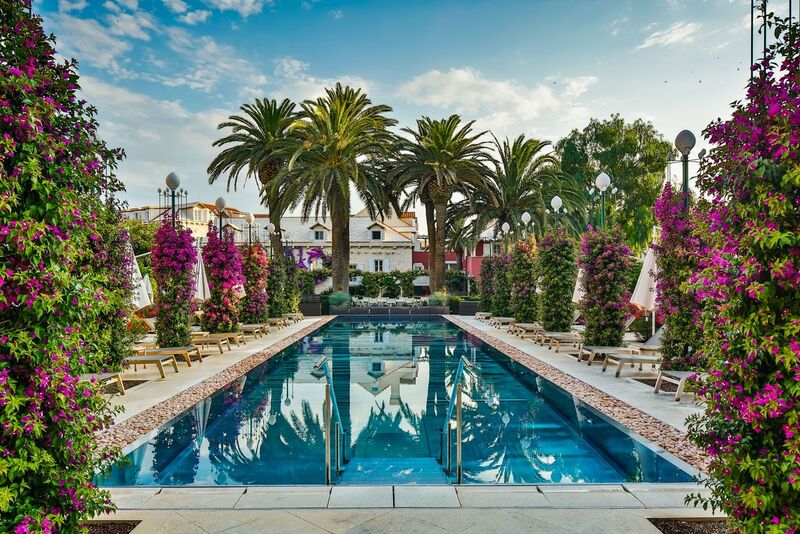 Here on the private beach of Hotel Lemongarden, you can enjoy this splendor from a front row seat. With around 3,000 m2, it is located in a natural bay. 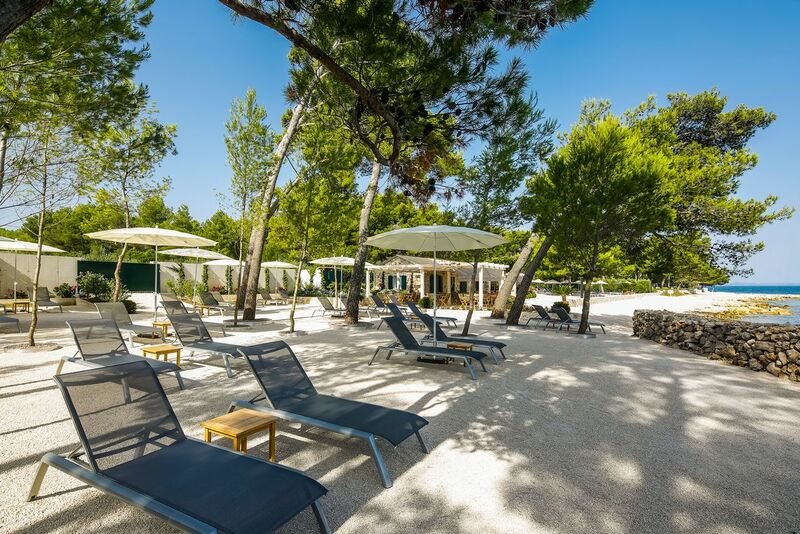 Shaded by a beautiful pine forest, you can enjoy exclusive relaxation and swimming fun only 10 minutes from Hotel Lemongarden. 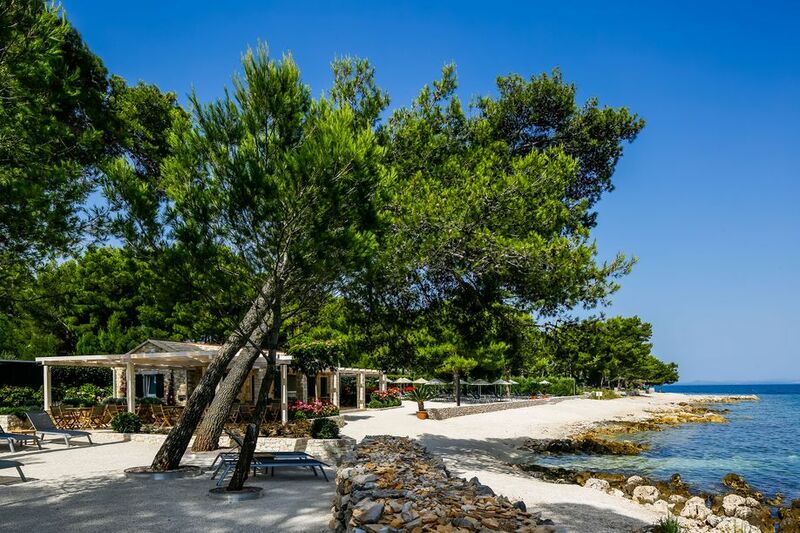 Recreation, relaxation, and pure enjoyment – this a day on our private beach. 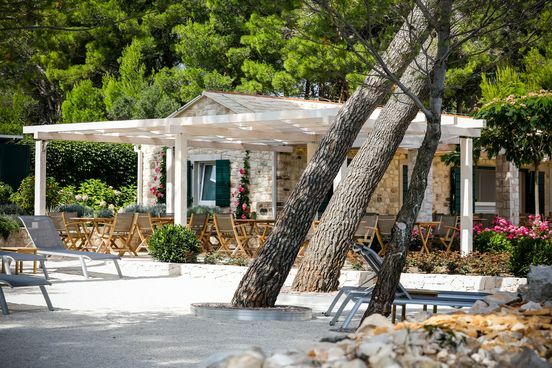 The beach bar in a charming natural stone house provides delicious refreshments. How about homemade lemonade, soft drinks, cold beer, iced tea, or even a glass of Champagne? Along with small snacks and finger foods, we will also pamper you with our barbecue grill. 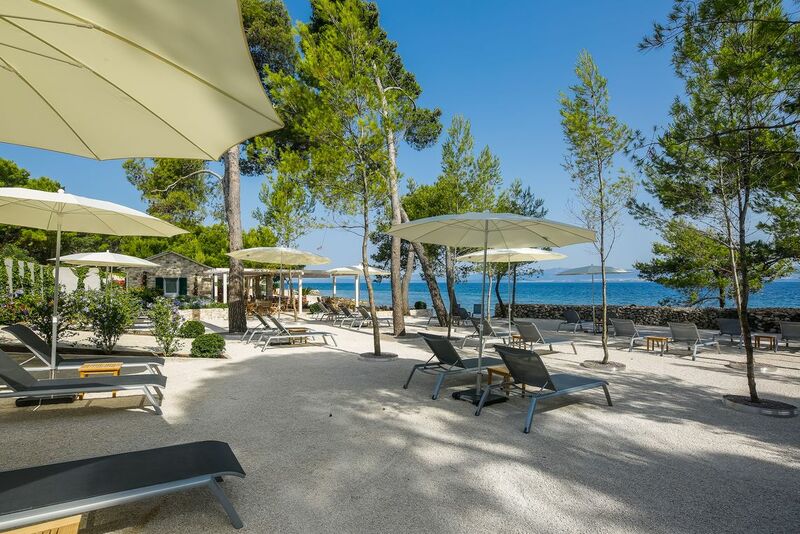 Our beach is available exclusively to guests of the Lemongarden. If you would like to enjoy the surroundings, you can simply ride our bikes there. You can get there in only 10 minutes. Or let us pamper you: we will be happy to take you to the private beach with our golf cart. 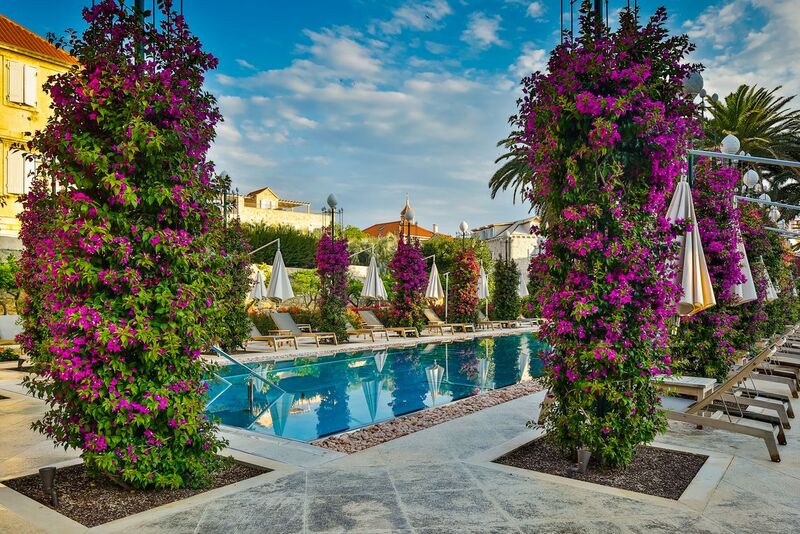 Roses, hibiscus, and bougainvillea – they play a main role in the picturesque garden at the Lemongarden. 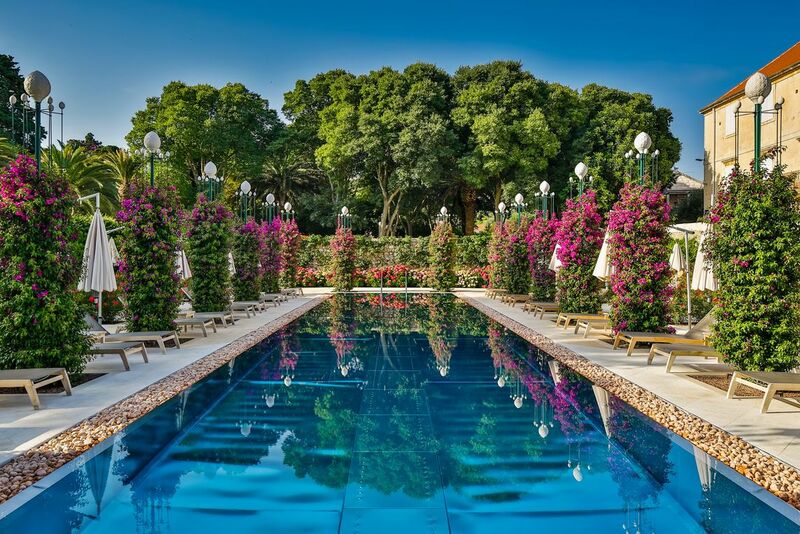 The bougainvillea especially enchants guests with its glorious colors around the outdoor pool and forms columns as if on a trellis, and there are many columns since our pool has a length of 30 meters. Depending on the season, the pool is heated or cooled.